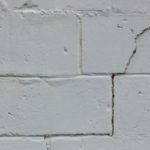 Tuck Pointing, Brick and Chimney Repair Toronto | Turnbull Masonry Ltd > Blog > Blog > How Much Value Does A Patio Add To Your Home? According to a survey conducted by the National Association of Realtors, a patio is listed as one of the top 10 features homebuyers look for. That means people will pay a premium for a home with a well-built and well-maintained patio. After all, a nicely constructed patio can transform your yard from a boring bland space into a beautiful paradise. According to the 2007 Remodeling Cost vs. Value Report, a wooden deck can recoup over 85% of its original cost. That’s more than a remodeled bathroom, which on average recoups 78% of costs, and a family room addition, which on average recoups 68% of costs. The actual value that a patio adds to your home will fluctuate depending on a number of factors, such as how the patio fits in with the rest of the house and if the patio is new or in need of repairs. The more unique and inviting your patio is, the more money it is going to fetch. Adding things like a built-in fire pit, fireplace, raised garden bed or a cozy seating area will add value to your patio. 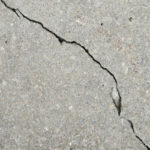 Higher-grade materials may also be a good idea, as they tend to extend the life of the patio and reduce regular maintenance needs. Patios are viewed as an appealing feature because they offer an additional living and entertaining space without the need for heating, cooling or costly maintenance throughout the year. Certain home renovations can recoup as much as 80-90% of your initial investment. 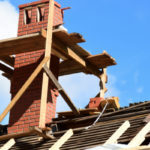 Things like a new roof or new plumbing won’t necessarily drive the price of your home skywards, as people expect the home they are buying to include a sound roof and plumbing systems. Although, if you don’t have a solid roof the value of your home will plummet. Outdoor kitchens, patios and other luxury additions can increase the value of your home because they are not mandatory but improve livability and overall appeal. The largest mistake that homeowners make is installing a patio that is too grand or too bland for their home. The patio needs to fall in line with the value and style of your home, as well as the neighborhood. If you have a $200,000 home and you add a super fancy $50,000 patio, complete with wood burning pizza ovens, you are going to out price your home, the neighborhood and the market. In other words, there’s no way you’ll recoup your investment. On the other hand, if you live in a $2.1 million home and you add a $50,000 patio, there’s a greater chance you’ll recoup a larger percentage of your investment. An out-of-proportion project may make your home more appealing but that doesn’t mean it will pay off financially. Avoid adding a large patio to a small backyard. An oversized patio in a small space not only looks awkward but it leaves very little greenery or additional yard. 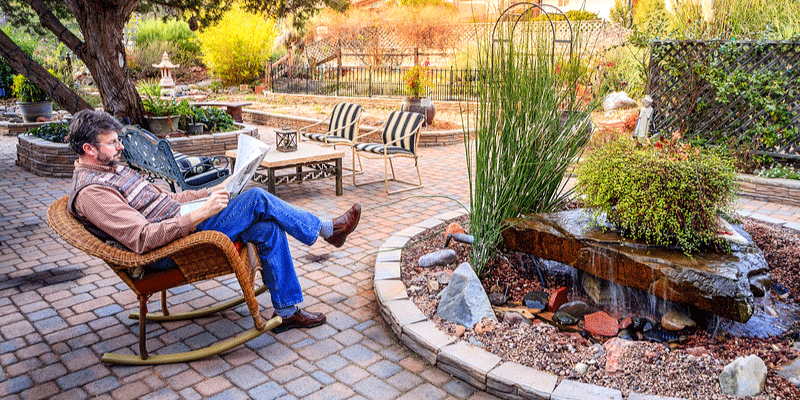 If the entire yard is a patio it can actually detract from your home’s appeal. Patios should not be constructed as standalone features. Instead, they should be built directly beside the home. This makes it easy to walk in and out of the house and out to the patio. The door leading out to the patio should ideally be located between 15 and 30 steps from the kitchen area. This makes bringing food in and out of the house easier for entertaining purposes. Make sure your patio is shielded from neighbors to ensure it is private enough to be considered appealing. Adding walls, trees and other decorative elements can help barricade your patio in serene privacy. Before putting your home on the market make sure your patio is in pristine condition. That means pruning bushes, untangling tree branches and sweeping the floors clean. Add a coat of paint to your patio if it appears lackluster after years of wear and tear. Good decorating sense, such as putting patio furniture in the right places, can also boost the appeal of your patio. 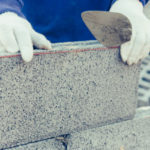 Contact Turnbull Masonry to install or repair your outdoor patio the right way. Our unique patios are built to impress, last and increase the value of your home.